P.S. I simply had to take another sheet of paper to tell you what Aaron said about you when we left Iowa City. He said "I love that woman. I don't just like her. I love her." Were I not in perfect agreement with him, I might have been jealous. But its unanimous. 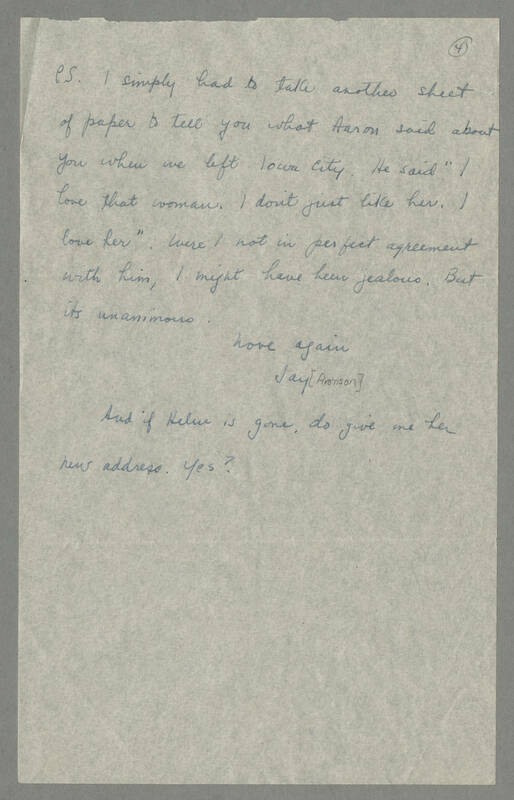 Love again Jay [Aronson] And if Helen is gone, do give me her new address. Yes?